There was a period where it felt like we, collectively, might be overrun by simulator games. Not the oddly specific but still very much earnest slice-of-life ones like the Euro Truck or Farm Simulator lines -- I've got nothing against either of those! -- but the jokey kind. The type that like to mask their general crumminess with cheap humor and flood any digital marketplaces that'll take them in. Just going by its name, you might think Job Simulator falls in with that group, but it is in fact wonderful. That's hardly news to HTC Vive owners, who have had access to the game since April. 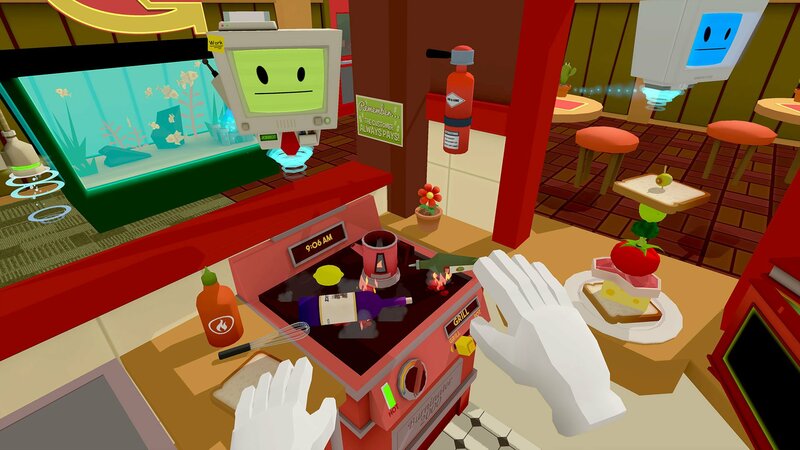 But now it has made it over to this month's PlayStation VR, more or less intact, and a whole new batch of players will get to experience its physical-comedy toybox. If you have the setup, you should be among them. After settling into my new role as an office worker (or what the misguided robots of the future imagine our modern 9-to-5 cubicle jockeys to be like), I picked out a doughnut from a box. Not just any doughnut -- a funky one. Snatching the toxic snack with one of the two required PlayStation Move controllers, which serve as reasonably accurate virtual floating hands, I was able to lift it up toward my face and scarf it down. Cue the stream of continuous projectile vomit. I spewed it all over the desk, flooding my keyboard and copier with chunks. This is what it's like to play Job Simulator. 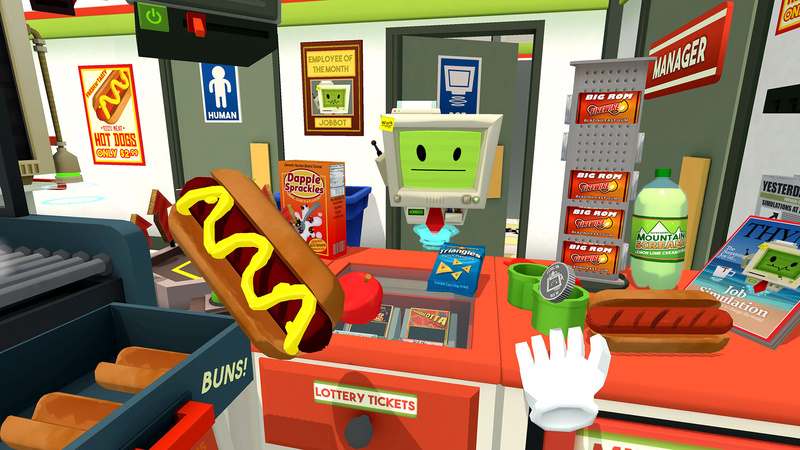 You rummage through your immediate surroundings whether you're playing as an office worker, a convenience store clerk, a chef, or a mechanic, and you have a hearty laugh while figuring out how each of the jobs' different interactive doodads work together. That isn't to say you're left to your own devices or that Job Simulator is solely about making your own fun, though. Far from it. You'll receive various orders to fulfill, some of which are open to creative interpretation, and most of which end up being absurd. How to make pizza? Why, blend up some tomatoes and other assorted "ingredients," squirt the mix onto a piece of white bread, and stick that sucker in the microwave. A few seconds later, and something that surprisingly resembles a slice of pizza will pop out. Order up! What makes this all work so well is that none of it is random. Thankfully, it isn't that kind of humor. The world and its characters may be silly, but there's a method to the madness. There's this cartoon logic that you can immediately latch onto, making for a game that's fun to suss out but not dull or predictable. Part of that can also be attributed to the rather short run time. Job Simulator doesn't outstay its welcome, though I almost wish it ran that risk. I wasn't even close to ready for it to end and I'd love to see more jobs in a potential sequel (or a full-on VR cooking game in a similar vein). The PlayStation VR port doesn't have the same tracking precision or reliability as the HTC Vive version, but I still found it to be good enough. Similarly, there can be some funkiness with your placement in the world. 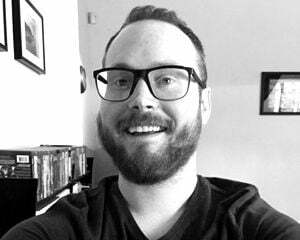 You might struggle to reach low-to-the-ground objects without clipping the outer bounds of what the PlayStation camera can see, but that issue can be worked out through recalibration. It was annoying to deal with, for sure, but not enough to put me off an otherwise joyful experience.